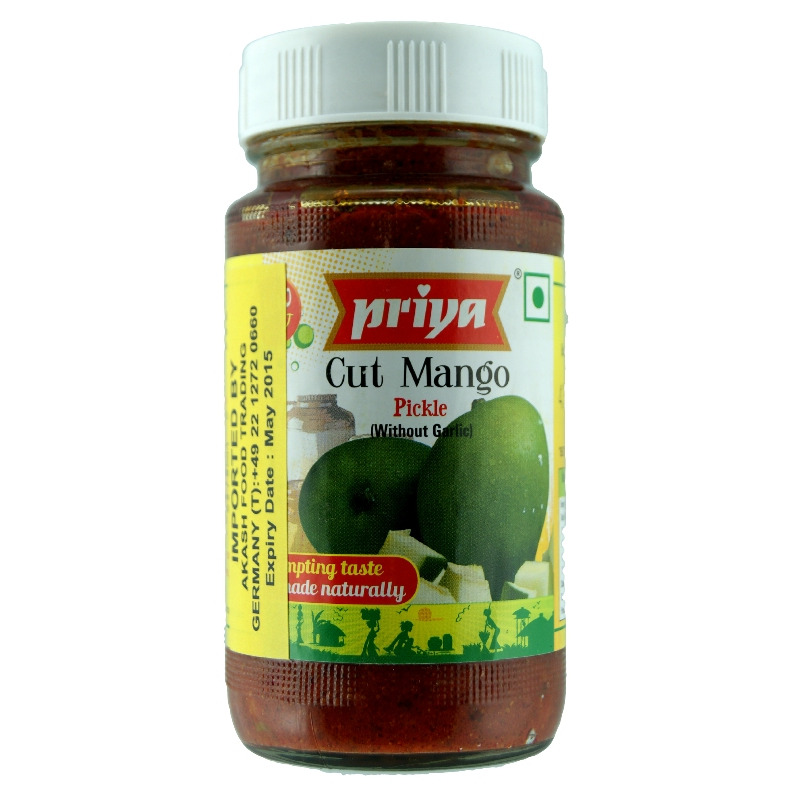 Priya’s Cut Mango Pickle is an achaar prepared with succulent, raw mango pieces flavored with aromatic spices. 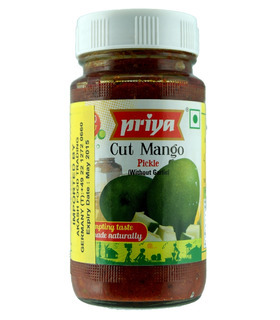 This pickle is mild spicy and its deliciously tangy taste will have you licking your fingers! Served as an accompaniment with rice, Indian flatbreads and parathas. 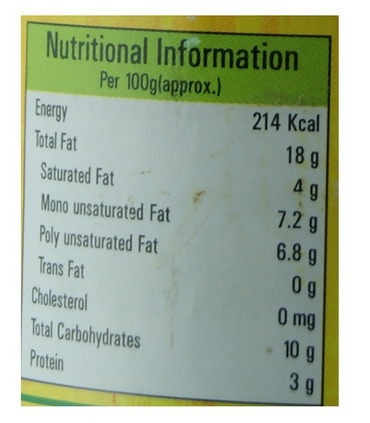 - It does not contain garlic. - Suitable for vegetarians. Priya’s Cut Mango Pickle is an achaar prepared with succulent, raw mango pieces flavored with aromatic spices. This pickle is mild spicy and its deliciously tangy taste will have you licking your fingers! 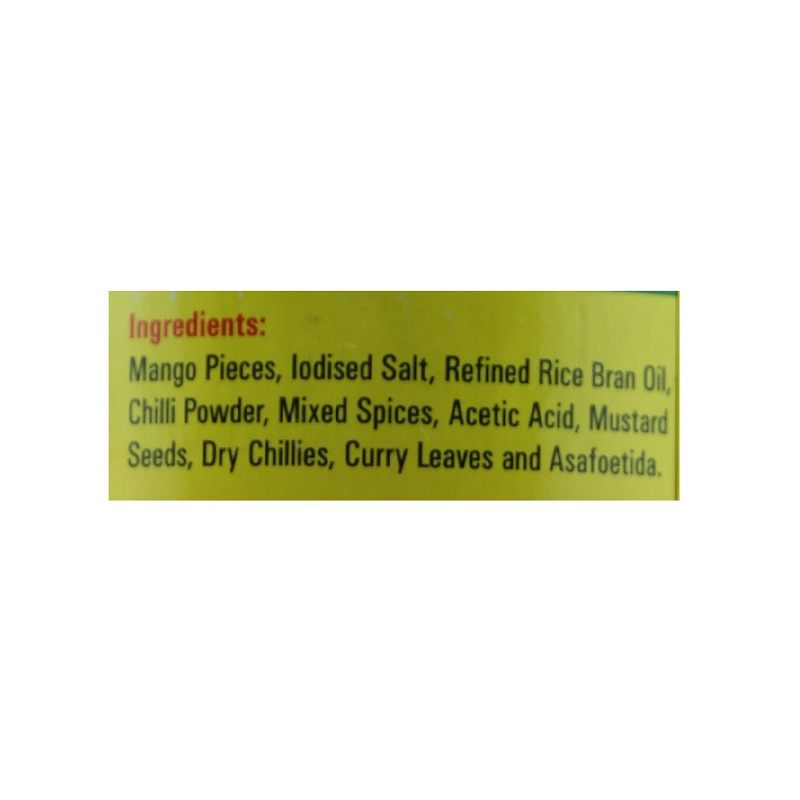 Served as an accompaniment with rice, Indian flatbreads and parathas. 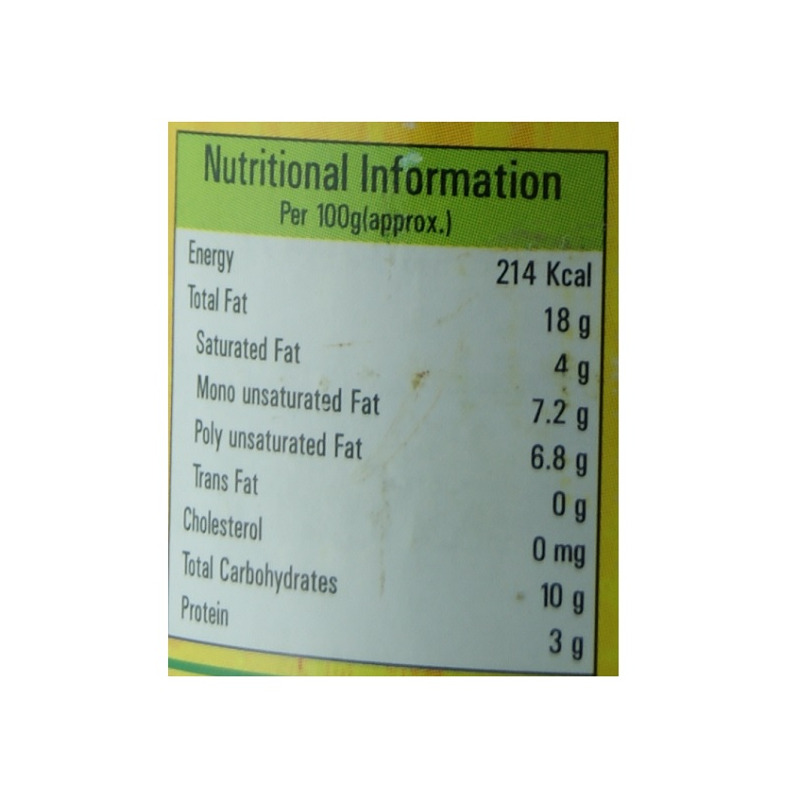 - It does not contain garlic. 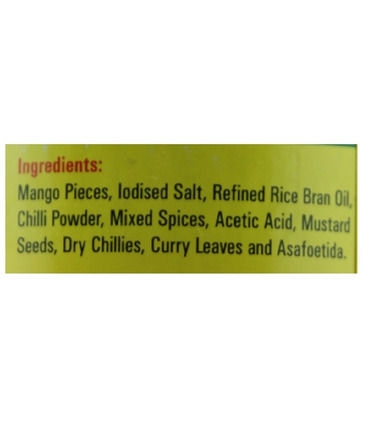 Mango Pieces (57%), Refined Rice Bran Oil, Salt, Chilli Powder, Fenugreek Powder, Mustard Seeds, Chillies, Turmeric Powder, Acetic Acid (260), Curry Leaves, Asafoetida.